1- The 17 June 2012 constitutional addendum is to be abrogated. 3- If the Constituent Assembly [tasked with drafting a new constitution] is prevented from doing its duties, the president can draw up a new assembly representing the full spectrum of Egyptian society mandated with drafting a new national charter within three months of the assembly's formation. The new draft constitution is to be put before a nationwide referendum within 30 days after it is written. Parliamentary elections are to be held within two months of the public’s approval of the draft constitution. 4- This new Constitutional Declaration is to be published in Egypt's official gazette and will be put into effect the following day. Ys Mohamed Morsi is the only elected leader in Egypt at the moment , He has the mandate to exercise the executive and legislative powers. At a stroke, President Mohammed Morsi inflicted the biggest blow against the army's political power since the "Free Officers" established the officers' dominance by toppling the monarchy in 1952. Thank for ur better position.help to Alla ha ,to be continue ur responsibility. 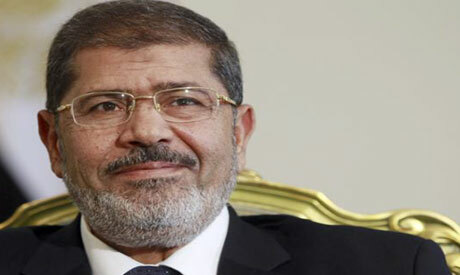 Morsi is the only elected leader in Egypt at the moment , He has the mandate to exercise the executive and legislative powers. All the steps taken by the president be useful for democratization of the Egypt and the people of the country..... Wish a good luck.